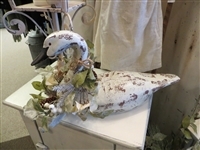 Nothing says Americana like beautiful Decorative Carved Swans & Geese in antiqued colors and finishes. 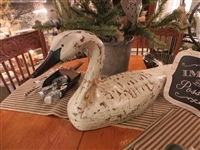 The Red Brick Cottage carries decorative swans and geese in different colors and sizes to perfectly match your Americana, primitive, country, and colonial décor. Add one of these friendly geese to your home as a centerpiece or to complement your rustic decorating style.